Mumbai is a ‘city of dreams’ and the people here sweat and slave to fulfill their dreams which often takes a toll on their mental peace. The fast-paced life, long working hours & incessant traffic jams leave Mumbaikars all stressed out & craving for a weekend break. 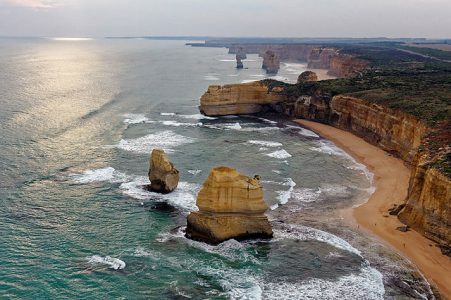 But, the most exciting part about this vibrant city is that in return of all the hard work, it offers some beautifully laid-back destinations that captivate tourists by their panoramic hill points, cascading waterfalls, historical forts, winding paves and old world charm. 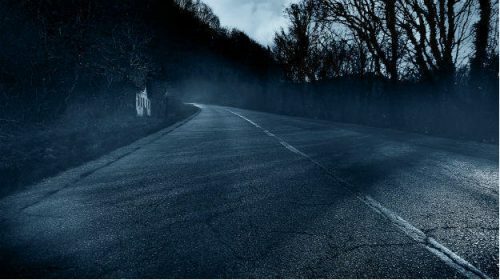 Here’s our list of 5 exciting road trip destinations from Mumbai with some ideas on how to visit, what to do and where to eat. Perched at a height of 2516 ft. above the sea level, Matheran is a serene and beautiful hill station located in the Raigad district of Maharashtra. 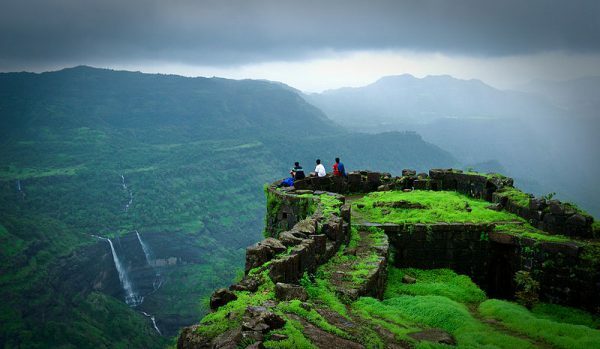 Matheran was established by The British in 1850 which was later developed into a famous summer retreat. Matheran is Asia’s only automobile-free hill station and even the bicycles are not allowed in the eco-sensitive zone. A leisurely ride on the Neral-Matheran toy train is one of the most feasible options to reach the destination and provides one-of-its-kind experience. 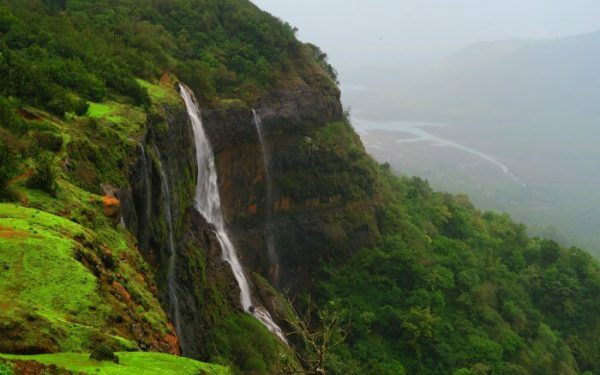 There are numerous peak points in Matheran that provide stunning views of the panoramic landscapes laden with lush green pastures and an overwhelming amount of peace. The destination is a must visit if you’re looking to spend a relaxing weekend at a soothing place, away from the chaos and pollution of the city. The point to be considered here is that you can only take your car up to a place called Dasturi and have to park your car there. From there, either you can walk up to Matheran which is approx. a 50 minutes’ walk or you can hire a horse/man pulled rickshaw to reach the destination. Shabbir Bhai, popularly known as “Biryaniwala,” draws a huge crowd of locals and the tourists just by the aroma of its food. The joint serves some of the best biryanis in the town – be it chicken, mutton or veg biryani and is a must visit for the tourists. They also serve mouth-watering kebabs and other north Indian dishes. The dishes are reasonably priced. Garden View Restaurant is a small, cozy restaurant with beautiful surroundings and one the best food joints in Matheran where you can enjoy the tasty delicacies at reasonable prices. You can enjoy Maharashtrian dishes here like vada pav, missal pav, Sev puri to satisfy your hunger. Lonavala & Khandala are one the most picturesque locations near Mumbai and your visit to Mumbai will always be incomplete if you do not visit these beautiful twin hill cities. Situated on the scenic Mumbai-Pune expressway, these places offer the perfect dose of peace and tranquillity to the tourists and the lush green Western Ghats provides the picture-perfect backdrop. 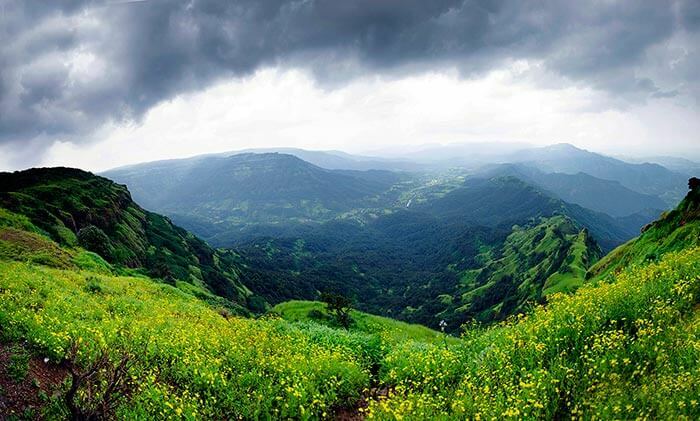 During Monsoons, the beauty of the Western Ghats is at its peak. Head towards Panvel and use Mumbai Pune Expressway to reach Lonavala-Khandala. Self-Drive cars in Mumbai are the best way to visit the twin cities as the drive on Mumbai-Pune expressway offers stunning views and is an amazing experience in itself. Trekking, Mountain Top camping, waterfall rappelling; visit Karla Caves, Kune Falls, Lohagad Fort, Pavana Lake, Lion’s Point, Bhushi Dam, Della Adventure. Shree Datta Snacks is located in Raigad & offers a delectable range of Maharashtrian food at very reasonable prices. Their snacks like vada pav, Sabudana khichdi, missal pav, kothimbir wadi are reviewed high by the tourists. Pitstop café near Police Training School, Lonavala is a multi-cuisine restaurant that provides good food and chills out atmosphere. Samudra Manthan is a must-stop for Sea Food lovers. Nestled in the Western Ghats about 118 km from Mumbai, Kamshet is a beautiful hill station and is a major attraction for the people interested in Paragliding and other adventurous sports. 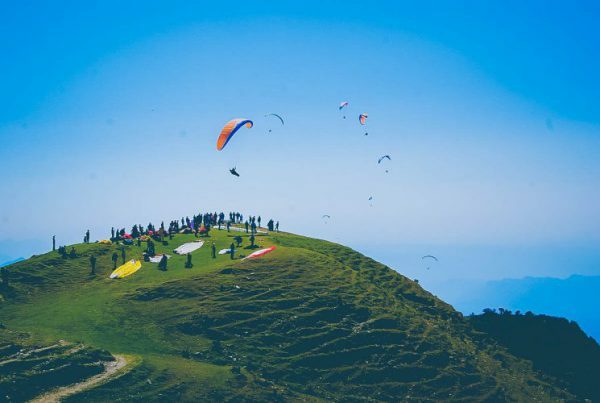 Kamshet is popularly known as ‘Para glider’s Paradise’ as there are numerous Paragliding points that offer the perfect soaring and Paragliding experience over the Pawana Lake and the mesmerizing countryside. Kamshet regularly finds a place in many lists for the top destinations for the adventure lovers. If you are not an adventure sports enthusiast, you can indulge in sightseeing as the destination is also dotted with architectural wonders and good old forts. Kamshet could be best reached through the Mumbai-Pune expressway. You can take a self-drive car rental in Mumbai to cover the journey which is just 2 hours and is an amazing experience in itself. The places covered during the journey from Mumbai to Kamshet are Mumbai – 23 km -> Mankhurd – 79 km -> Lonavala – 16 km -> Kamshet. Several ATMs, hospitals, petrol pumps, rest stops and dhabas fall on the way. Paragliding, Trekking, Rock Climbing, Camping, Cycling; visit Bhairi Caves, Bedsa Caves, Kondeshwar Temple, Bhandar Dongar, etc. The Kinara Village Dhaba is situated on old Mumbai-Pune expressway and provides a wide range of veg. & non-veg. snacks and Jain Food as well. The service, food, hospitality of the staff is up to the mark. Rama Krishna restaurant is on the Mumbai-Pune road which serves a delectable range of Indian cuisines but the specialty is South Indian food. The place is clean and neat, even the toilets, and the staff is very cooperative. Chandralok restaurant is again located on Mumbai-Pune expressway and specializes in Indian food. The restaurant offers a scrumptious thali meal with different varieties at affordable prices. The staffs are courteous and the place is clean & hygienic. A quaint hill station nestled in the lush green forests of Western Ghats, Igatpuri, is one of the most popular and romantic drives near Mumbai. The pleasant climate, scenic forts, magnificent waterfalls and majestic mountains make a large number of tourists flocking to Igatpuri for a relaxed weekend trip. The beauty of this place is at its prime during monsoon when its dense forest becomes greener and the waterfalls get revived. Igatpuri is also famous for Vipassana meditation center, which offers a complete course of the age-old art of meditation. You can take a self-drive car rental in Mumbai to reach Igatpuri which is just a 2 hours’ drive ( if the traffic is less). Drive on NH 3 to Talegaon, Igatpuri & then, take Old Mumbai-Agra Rd to Khalifa Abdul Haee Marg in Bajrang Wada. Trekking, River Rafting, Lake Kayaking, Romantic walks, Meditation; for sightseeing, visit Tringalwadi Fort, Vaitarna Dam, Camel Valley, Ashoka Falls, Lake Vaitarna Waterfalls. Oye Punjabi is a restaurant located on Mumbai-Nasik Highway and mainly serves Indian delicacies. The food is delicious & averagely priced; the ambiance of the place is really nice, giving a resort-like feel. Green Land pure veg restaurant on Mumbai-Nasik highway is a family restaurant and is a great place to eat for all the vegetarians. The restaurant provides a range of delectable vegetarian snacks along with a nice ambiance. Manas Da Dhaba is again a great place to grab some quick delicious meal at a reasonable price. This dhaba provides a variety of cuisines and especially famous for local delicacies. It’s located in Talegaon. A road trip from Mumbai to Malshej Ghat is probably one of the most scenic drives you can take from Mumbai. Snuggled in the lush green Western Ghats, this beautiful hill station is blessed with cascading waterfalls, old forts, and serene lakes. 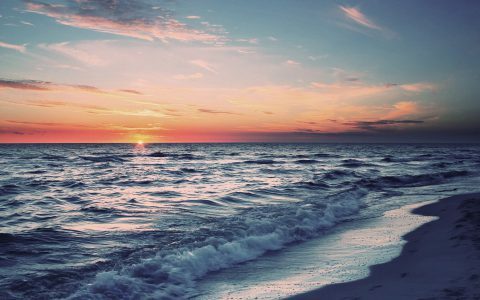 It’s a very popular getaway especially amongst those Mumbaikars who like to visit a tranquil place just to soak in the cool, fresh air. The place is also a famous attraction for birdwatchers as it’s adorned with a variety of bird species, especially Siberian migratory birds that flocks here from July to September, every year. 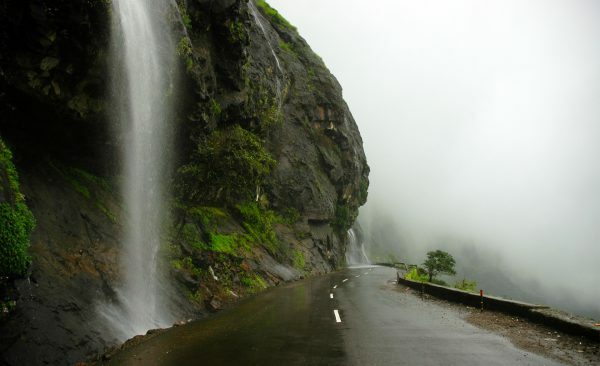 Malshej Ghat is well connected to Mumbai by road. You can take a car on rent in Mumbai without a driver. 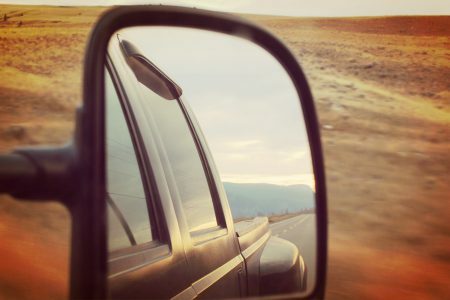 A Self-drive car is probably the best & most preferred traveling mode to reach Malshej. By car, it can be reached within 3 hours via the SH 222 (also called NH 61), which is in good condition, except the Kalyan – Shahad 5 Km patch and few spots just before Malshej. Malshej Falls, Bird Watching at Pimpalgaon Joga Dam, Ajoba Hill Fort, Harishchandragad Fort Trek, Lenyadri Caves, etc. Flamingo Restaurant at MTDC Resort provides good food at reasonable prices. You can experience the stunning views of the valley with the food. MTDC Resort also provides accommodation at cheap rates. VisvashGarden Restaurant is located in the city and serves amazing local Maharashtrian food. You can have a lovely time here enjoying the taste of local dishes. Ratan Executive, a pure vegetarian restaurant, is located on Lenyadri Road in Junnar and probably one of the best places to eat on your trip to Malshej Ghat. They also provide rooms at reasonable tariffs. That’s all Folks! If you’re planning to head to some other offbeat getaway near Mumbai-Pune this weekend, let us know in the comments. Thanks for sharing such an informative article. Definitely helpful for anyone. 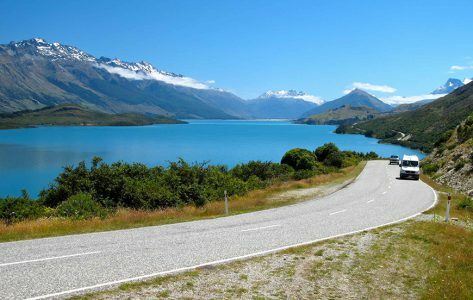 We provide car rental services, After reading the article, I decided to provide car on rent for these places. Thanks. We’re glad that you liked the post.